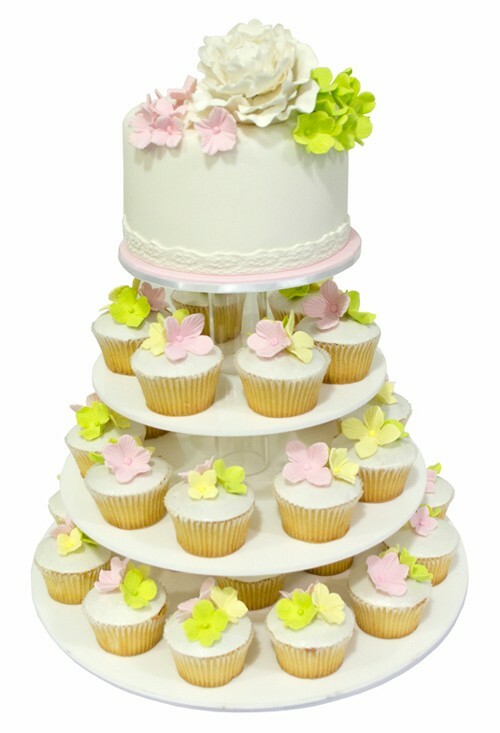 The Springtime Bliss Wedding Cupcake Tower will put a spring in your wedding's step! 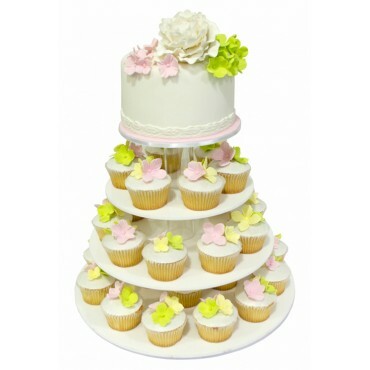 Three tiers of colourful cupcakes with a beautiful hand decorated cake on top. 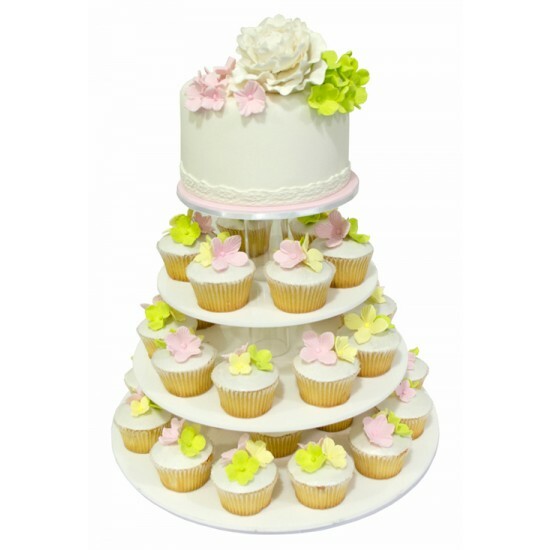 Both the cupcakes and the cake are classically decorated with hand made, edible roses and hydrangea flowers. 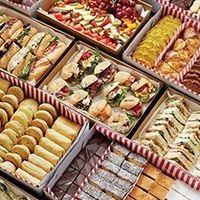 With 40 cupcakes and a 15cm round top cake, there's lots of cake to go around.